The dam took just half-an-hour to entomb half the village of Bento Rodrigues in 18 metres of iron-ore tailings, reddish mud and water slurry. 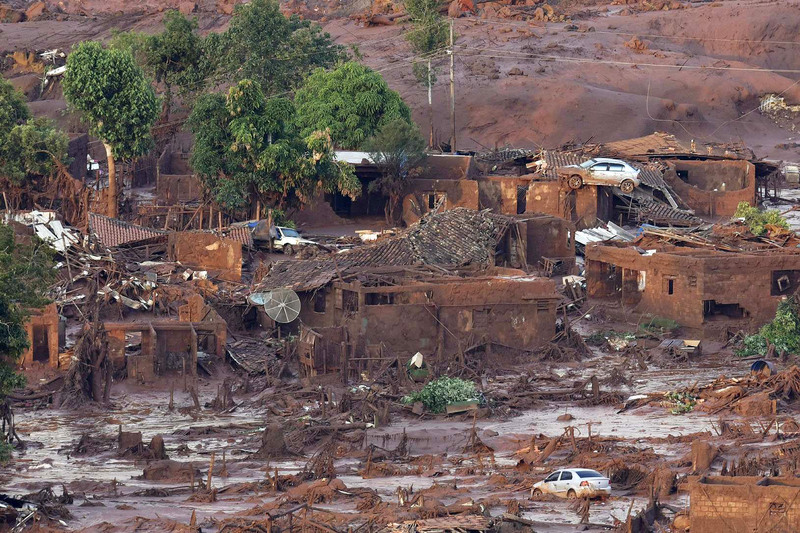 A “mountain tsunami” is how firefighters in Mariana, in Minas Gerais in south-eastern Brazil, described the bursting of mining company Samarco Santarem’s iron-ore tailings dam on November 5. Marcos de Eufrasio, a 38-year-old stonemason who was cutting rock on that sunny afternoon, said that, from nowhere, he heard a “mighty roar”.